This off the shoulder dress is gorgeous; love the stripe pattern and color! Totally in love with this dress! I am always a sucker for stripes - classic! But I love stripes with a modern twist, just like your dress here. Thursday it will finally bbq weather here! Yes! Great Summer dress. LOVE this dress! Stripes and off-the-shoulder are the perfect combo! You look beautiful Rachael! This dress is so adorable and classic!! I love the style of sandals too! I love these stripes for summer, they are just too cute! Love those sandals too! Adorable dress! This is perfect for summer and I am loving those sandals, too! Love this dress and your sandals are also awesome!! This dress--oh my goodness! I am absolutely obsessed with stripes, especially if they're blue and white. Love this look so much! so pretty ! love how light and fresh this dress is - so perfect for summer ♥ pinned! So cute girl!! I love the color if your clutch with the dress! Perfect! This dress is too cute! 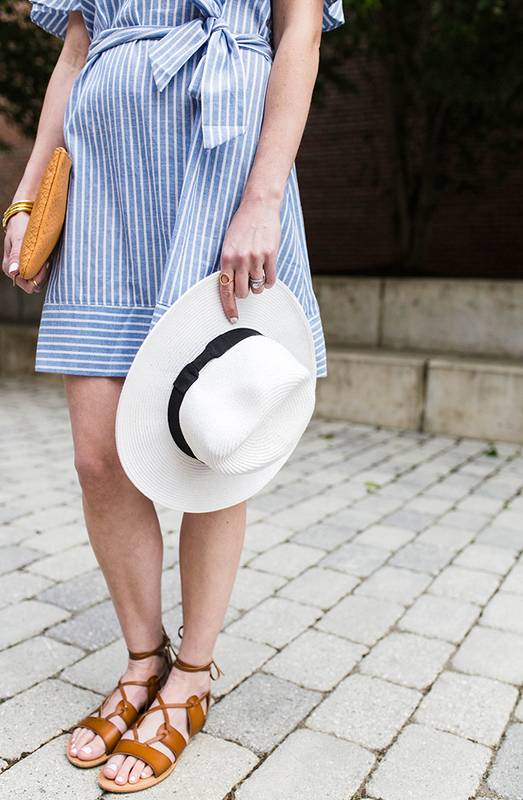 Loving the stripes + off-the-shoulder combo. This dress is just perfect for summer! 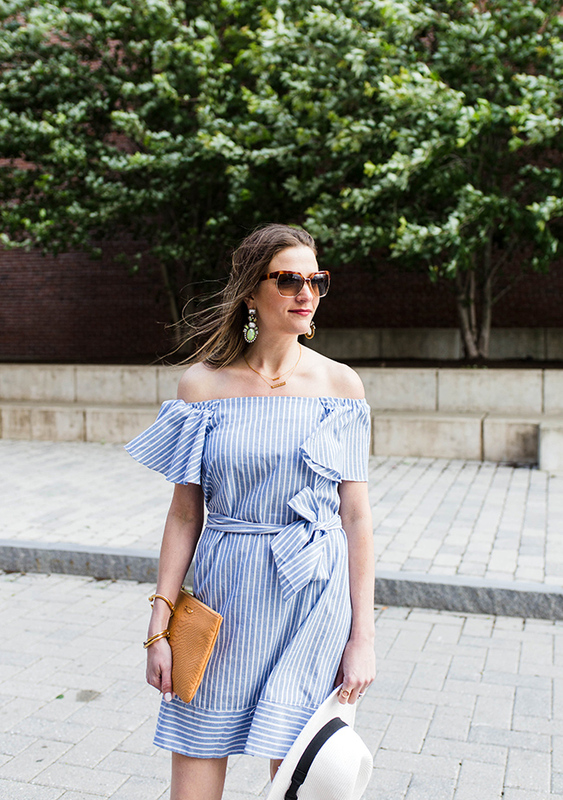 I love both stripes and off the shoulder dresses, and this dress combines them both! Looking so beautiful in this summery ruffled dress! You look so pretty in this off shoulder dress. Hope you have a great weekend . I love that dress. The off the shoulder trend is one of my favorites for summer! What a great OTS summery dress!